We do a lot of racing and skiing at night. 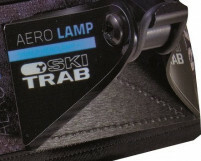 The more lumens a lamp puts out, the faster you can ski. 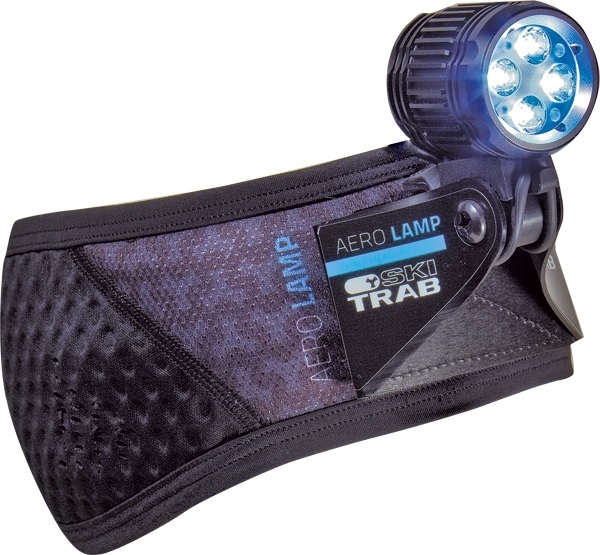 The Trab Aero Headlamp projects up to 2000 lumens down your favorite chutes. That is enough to ski with confidence yet remain oblivious to the obstacles further below. Perfect for concentrating on the task at hand above a cliff band. The Aero lamp has a secure tripod mount that can be attached to a helmet or worn with the included headband. You can swap it between them using the industrial Velcro. Day jobs are not a valid excuse for not-skiing. Four intensity settings between trudging uphill and skiing fast. 3.5 hours of runtime when set at maximum output. 6061-T6 Aluminum casing might live through a face plant. Charging time of 3-3.5 hours from empty to max. Battery indicator lets you be sure you’re topped up. Separate battery pack to keep head weight down. Cree Xp-G LEDs have a 50,000 hour lifespan. Rated with a waterproof grade of 42 x 49mm. Includes headband and helmet support. Note: A/C adapter supports US 110 volt outlet, but an EU to US plug adapter is required (not included). I've had the 2000 lumen headlamp for two seasons now and it works really well for pre-dawn and post work laps and tours. The battery seems to hold a charge for at least 8 hours at a time. The battery has an indicator light to let you know approximately how well charged the battery is before setting off. The light is really bright and it has two buttons on the back of the light that allow you to brighten or dim the light. The Velcro attachment that comes with the light to attach it to your helmet isn't the most durable but at the worst your local hardware store should have some replacement Velcro and glue to better attach the light. The neoprene headband that also comes with the light works really well, though depending on the size of your head and the temps the headband could be too loose and the weight of the light cause it to shift and move around or the headband could be too tight and give you a slight tension headache. The battery can be stored in your pack (though taking the pack on and off could be a chore if the light is on your head) or I slide the battery onto a nylon belt and that keeps the battery and light from having to move or be disconnected. So far the light has really opened up options for getting out before and after daylight hours. The light could also work well for non skiing activities though the headlamp is not light so depending on how much jostling and motion your activity of choice requires the light could be more of a hindrance than a help. This hasn't seemed to be the case for night time skiing in my experience. Hi Thomas, should just be a couple days. And, they're in. Enjoy responsibly.